Walter is absolutely adorable!! About 10 months old, weighing 20 pounds, he is one super cute scruffy boy! 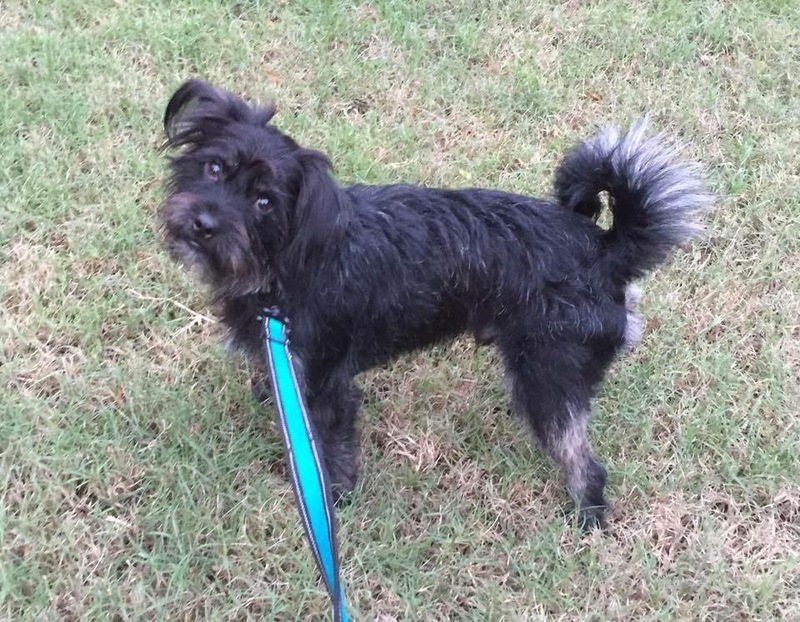 Rescued off the streets one month ago, this wired hair terrier mix is a love bug, full of personality and energy. Walter is crate trained, kid friendly and good with playful dogs. He is young and needs a consistent schedule and a firm but loving owner to house train him and limit his barking. Although he is a smaller sized dog, he is not suited to apartment or townhouse life. This guy needs a house with a yard and a family / companion with time and love to share. Walter is HW negative and on monthly HW prevention. He has been neutered and is up-to-date on his annual shots until November 2016. Walter would love to meet you and become your loyal, lifelong companion.